Swiss Post Solutions (SPS) is proud to announce that Cordelia Alfred, Vice President, Human Resources, and Nicole Mangarella, Solutions Analyst, were awarded Gold and Silver Stevie Awards respectively at the 2017 Women in Business Award dinner on November 17, 2017. Swiss Post Solutions (SPS), an innovative leader in business process outsourcing and digitization solutions, is proud to announce that Cordelia Alfred, Vice President, Human Resources, and Nicole Mangarella, Solutions Analyst, were awarded Bronze and Silver Stevie Awards respectively at the 2017 Women in Business Award dinner on November 17, 2017. As a company, SPS was recognized earlier this year with a Bronze Medal for “Achievements in Workforce Development and Learning” as part of the 2017 Stevie® Awards for Great Employers. Since 2002, the Stevie Awards program has recognized the achievements and contributions of organizations and working professionals worldwide, including Woman in Business which honors women executives, entrepreneurs and employees. More than 1,500 entries were submitted this year for consideration in more than 90 categories. Nicole is recognized for her stellar work that has been critical to SPS’ success in expanding its solution to a wide customer base interested in digital transformation. She has become a subject matter expert on complex new technologies and has collaborated with clients to design optimal outcomes for their businesses, allowing SPS and its clients to gain a keen competitive edge in a rapidly changing market. As a 17-year veteran with SPS, Cordelia is recognized for her tremendous impact in streamlining processes and enhancing the employee experience. Cordelia’s Human Resources team has actively hired talented employees, including seasonal, contingent and full-time staff to support the rapid growth of SPS. Cordelia also serves as a leader, instructor and mentor of SPS’ Intern Leadership Academy, a program that further develops the skills and strengths of SPS employees. 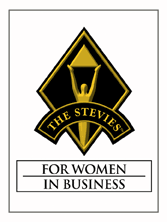 Details about the Stevie Awards for Women in Business are available at http://www.StevieAwards.com/Women. Swiss Post Solutions (SPS) North America (NA) offers a comprehensive suite of business process outsourcing solutions and document management services that transform key business applications from paper to digital documents, enabling improved workflow and enhanced efficiencies. In the field of outsourced office services, SPS NA provides mailroom management, managed print services, reprographic services, front office and reception services to clients from an array of industries, including financial services, insurance, higher education, legal, media & entertainment, and manufacturing among others. Headquartered in New York City, SPS NA has offices in Los Angeles, San Francisco, Chicago and Washington DC. For further information please go to http://www.swisspostsolutions.com.